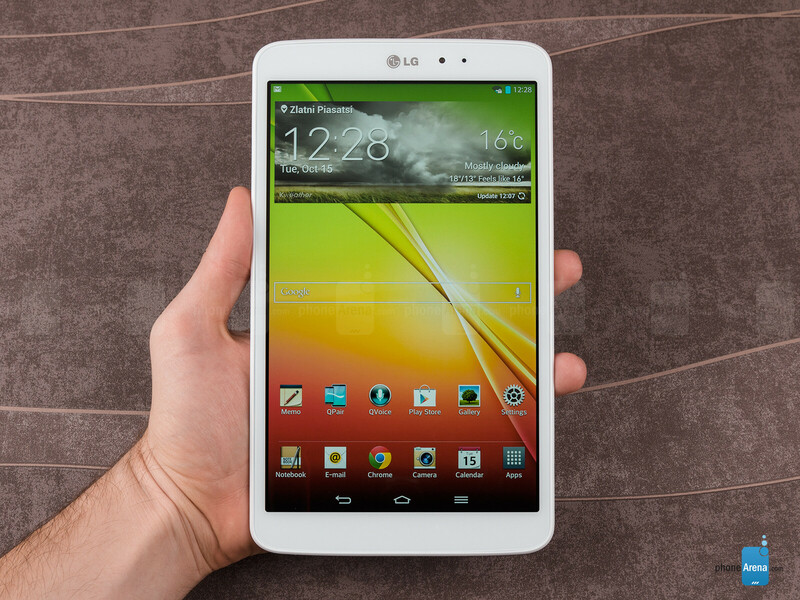 Struggling to secure its positions on the smartphone market, LG hasn't had much time to deal with the tablet one. That isn't to say LG has never released a tablet. In 2011, the company made its debut in that space by launching the Optimus Pad and its T-Mobile US variant, the G-Slate. 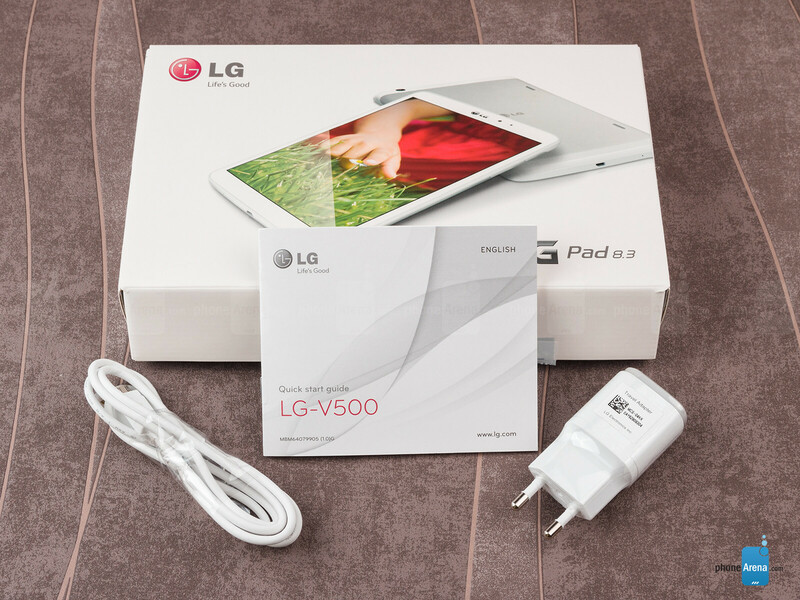 In 2012, the company outed a revamped model, named Optimus Pad LTE, with the hallmark feature of all of these tablets being their 3D camera capabilities. After a lengthy absence, LG is now back with a new tablet, and this time, it seems the South Korean company has come up with an even more ambitious product. Making full use of the hype surrounding the new G2 Android smartphone, LG is gearing up to release the G Pad 8.3 – a mid-sized tablet of premium quality that will take on fearsome rivals such as the Apple iPad mini and the Samsung Galaxy Note 8.0. 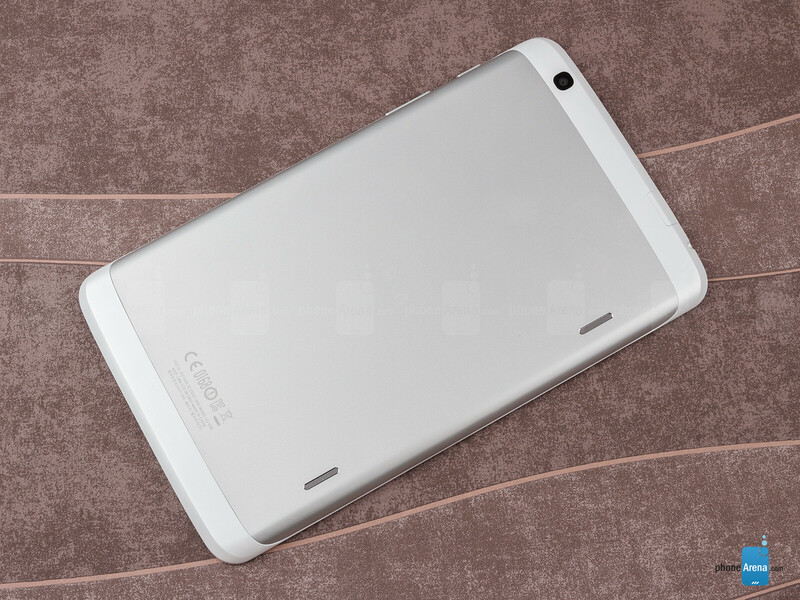 LG has evidently put a lot of love in the design of the G Pad 8.3. It's simply one premium tablet with a very slim and good-looking body. It's not so small (8.54 x 4.98 x 0.33 inches), due to the sizable top and bottom bezels, but it's narrow and light enough (11.92 oz or 338 g) to allow for comfortable holding. Almost the entire back plate is made of aluminum, which gives the tablet a sense of style and class, just like the iPad mini, and unlike the Galaxy Note 8.0. It's a bit surprising to an extent, having in mind that the G2 smartphone sports an entirely different design language. We're definitely glad to see LG employ a more ambitious approach with its tablet. The high-end design of the G Pad 8.3 is also found with its physical keys, which click happily and reassuringly, making them feel just right. Naturally, the tablet features a microUSB port for charging and wired data connection, but we're also happy to report that there's a microSD card slot on board as well, allowing you to easily expand your storage space. In case you're wondering, there isn't an infrared port. We'd once again like to congratulate LG for coming up with this premium design - we definitely hope that it'll make its way to the company's smartphone line-up next year. We wouldn't say that it's better than the iPad mini, since Apple's tablet is also quite spectacular, but it easily beats Samsung's offering in this segment, as well as low-cost tablet offerings like the Kindle Fire and the Nexus 7. 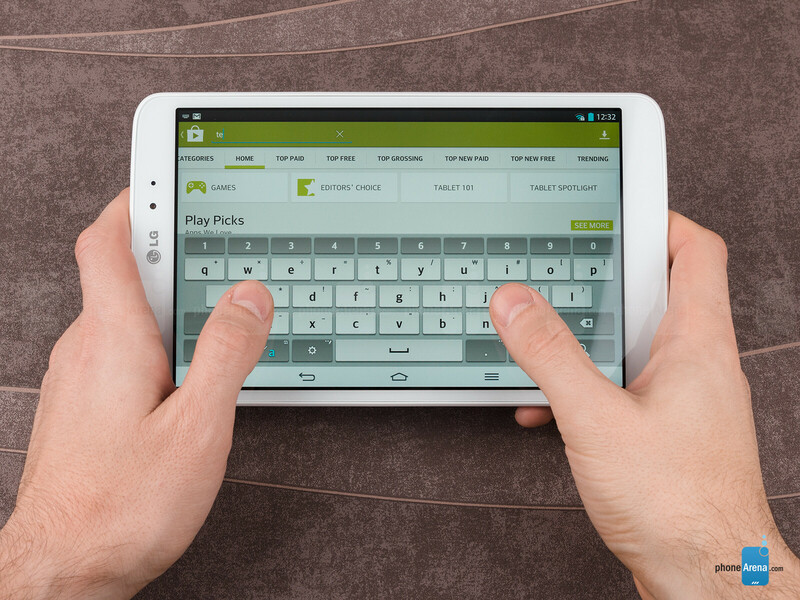 LG has equipped the G Pad 8.3 with a wonderful display. It measures the healthy 8.3 inches, making it slightly bigger than the iPad mini's 7.9 inches and the Note 8.0's... 8.0 inches. Its biggest advantage, however, is its 1200 x 1920 resolution and wonderful pixel density of 273 ppi. In comparison, the iPad mini's pixel density is just 162 ppi (terrible), and the Note 8.0's one is 189 ppi (mediocre). Essentially, what this means is that the screen of LG's tablet manages to output some very clean and pixelization-free visuals that make everything look that much more enjoyable, including reading and multimedia content, such as images, video and games. With this LCD IPS display, LG has just nailed the balance between blue and red, resulting in a perfect color temperature of about 6588 K (kelvin), with the reference point being 6500 K. That's pretty much unprecedented for such a display so far. What's even better is that the third primary color, green, is also very well balanced according to the other two. The result is a display that appears neither bluish (as most LCDs out there), nor greenish (as most AMOLEDs out there), nor reddish (the Z1 Ultra is a rare example for such a display). Cementing the status of perfect balance between the three primary colors is the average Delta E grayscale (measures the amount of color error) value of just 2.58, which is a wonderful figure. This isn't to say that the image quality of the display is perfect. Sadly, it isn't. For starters, the gamma is somewhat messed up, with highlights being a bit too bright and shadows being a bit too dark. Additionally, the brightness maxes out at around 345 nits, meaning that its outdoor visibility is less than ideal. The colors themselves may be well-balanced, but aren't perfectly accurate, as signified by the Color Gamut chart that you can find below, and the Delta E (rgbcmy) value of 5.61 (fair). Viewing angles with this display seem to be good enough, similarly to most IPS panels out there. What! How did this score more than the galaxy note 10.1 2014 edition??? calm down buddy, i have a Nexus 4 and 7 and a lot of people thought, at the beginning, that this was no match for some others. i'd label iPad's design language as... generic. Maybe because the Note 2014 costs $549. And it lags. At least the Exynos version that's out, it lags bad. I expect the Adreno 330 on the LTE version doing better when it's released, but it will cost even more, and the WiFi version remains a performance mass. For $549. I saw a video on youtube, where note 3 opened gallery after a minute...I won't be surprised if galaxy Note 2014 tablet lags.. I have played with two separate units. It most definitely lags. It's disappointing, really. I intended to buy one until I actually used it. Really, does it? Man, not even the Exynos 5420 and 3 GB of RAM could save it from Touchwiz... We need AOSP, stat! Because of tons of LG-sponsored articles in PA. Have you not seen sponsored articles with PA by LG? Well, infact you will only find LG-sponsored articles here. Others might be there, but most of them are from LG only. Isn't it obvious by now? Looks to be a very nice tablet save the rather paltry amount of built-in storage, but to proclaim its design/build 'unrivaled by any other Android tablet so far' is a bit of a stretch as the Samsung Galaxy Tab 7.7 arguably featured the very best design/build of ANY Tablet... Period. NOTE: And the Toshiba Excite 7.7 was no build/design slouch either. The amount of built-in storage seems pretty irrelevant considering that it has a microsd slot. For $20 or so, you can add a 32 Gb card and give it more storage than the onboard storage of other tablets. And how on earth does this score less than the iphone 5s/c? They did? Didn't know that. Good for Sony than. Why can't we start measuring batteries in "Ah" instead of mAh? With the numbers getting bigger, it makes more sense to say 4.6 Ah instead of 4600 mAh. Well done copying Samsung tabs. 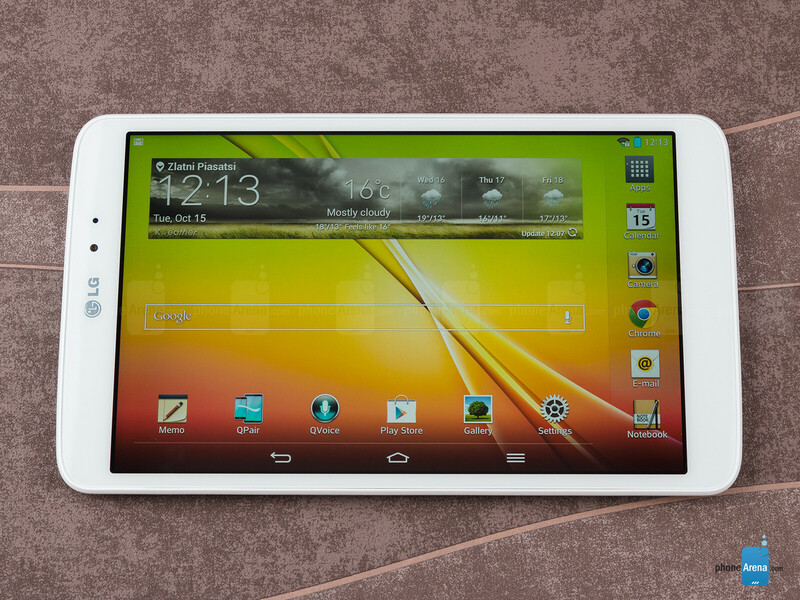 Wow, what a discovery, just tell me one thing which is similar to Samsung tablets in this LG one. Is that a good thing? Touchwiz is probably the least liked and poorest performing software in existence for Android. I have owned an LG Optimus G and the software runs MUCH more fluidly than TouchWiz. Its also just as ugly, and even less polished in places.